Jesus calls us to love others, but even he understood the nature of humans. Imagine a scene that looks like a rock concert. Throngs of people are celebrating the Passover at a festival and Jesus, who is performing many signs, is the main attraction. Members of the crowd might have been waving candles and shouting, “Jesus, Jesus. We love you Jesus!” It could have been easy for the Son of Man to get caught up in all the adoration, but Scripture said in John 2:24–25 that Jesus “would not entrust himself to them, for he knew all people. He did not need any testimony about mankind, for he knew what was in each person.” The Savior of the world understood that many, who gathered around him in awe, would one day be the same people who mocked him when He hung on the cross. Regardless, Jesus still loved people, yet he was not a people pleaser. Jesus knew he’d be betrayed by people, even His friends, yet he still loved them. He didn’t go into relationships with unreasonable expectations. He spoke truth and called out demons, even when it wasn’t the socially acceptable thing to do, and he kept moving forward with the plan of God, even though he experienced rejection at times. I remember a pastor speaking on rejection saying, “We’re all going to be rejected in our lifetime. Get over it.” A strong statement, but true. Jesus understood the rejection of mankind and because he knew this truth up front, he was able to carry out His mission, rather than be paralyzed when even his beloved disciples turned on Him. He loved unconditionally, never begging for the love of others. 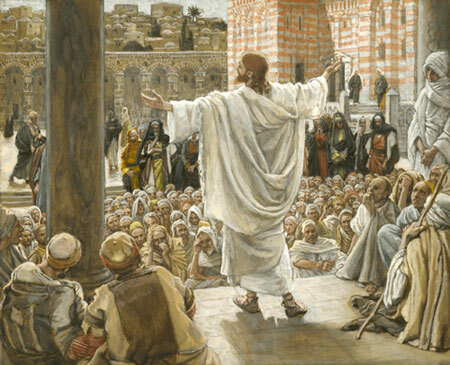 Jesus didn’t perform miracles to delight a crowd. He did them because it was what His heavenly Father instructed him to do. Jesus didn’t tell people what they wanted to hear. He told them what they needed to hear. Jesus didn’t choose the popular guys to be his buddies. He chose the outcasts and less popular and was criticized for it. Jesus knew that people’s love could never match the love of God and that’s what he clung to as he fulfilled His mission on earth, ordained by God. When we begin to sink because someone has disappointed us, we must turn to the One who said He would never leave us or forsake us, our heavenly Father. He can deliver us from idolizing people and people pleasing. “Save us and help us with your right hand, that those you love may be delivered” (Psalm 60:5).